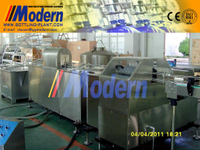 beer tunnel pasteurization - Buy Product on Zhangjiagang Modern Machinery Co., Ltd. This Beer Tunnel Pasteurization has 5-7 temperature sections, so temperature difference between section is small. 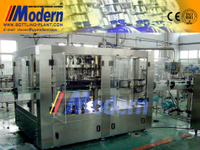 It could assure good sterilizing, effects, reduce bottle broken rate. Hot water is recycled to use in temperature sections in order to save heat energy and reduce water consumption. 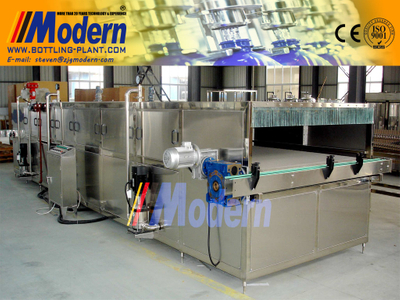 This tunnel pasteurizer could process bottled beverage or beer products, which completely conforms to relevant technologic requirements.